This story picks up in January when I knew I had to secure a dress for the fab Zac Posen event in Toronto, held at the end of April 2014. Back in January I spied a beauty of a gown on Moda Operandi’s VINTAGE VANGUARD collection (www.modaoperandi.com). Zac Posen and model Karen Elson for Moda Operandi’s Vintage Vanguard. Photo courtesy of VOGUE. Sweaty ladies: (left to right) Gisele strolls Manhattan in Kenzo’s single eye sweat top; Christopher Kane’s S/S2014 runway; stylist and former model Hanneli Mustaparta at Paris fashion week. Ahem: Where is your Hemline Hitting? 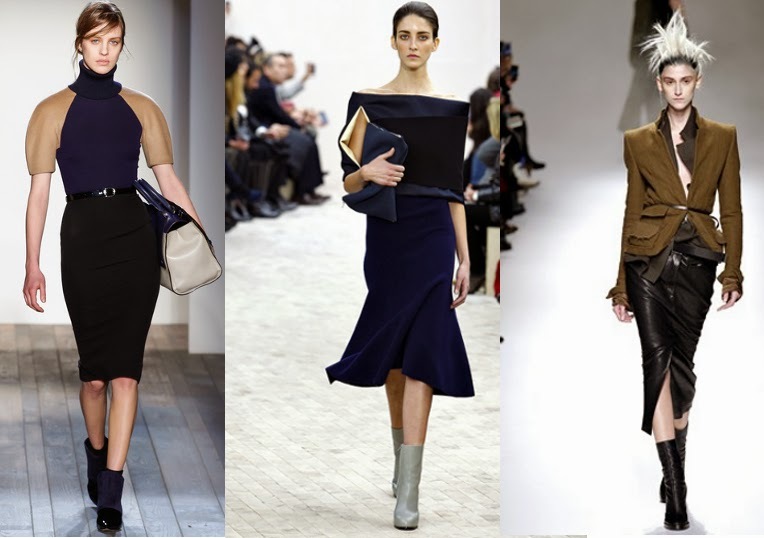 Midway on the runway AW2013 as seen at (left to right): Victoria Beckham, Celine and Haider Ackermann. Lions and Tigers and Terriers: Oh My! 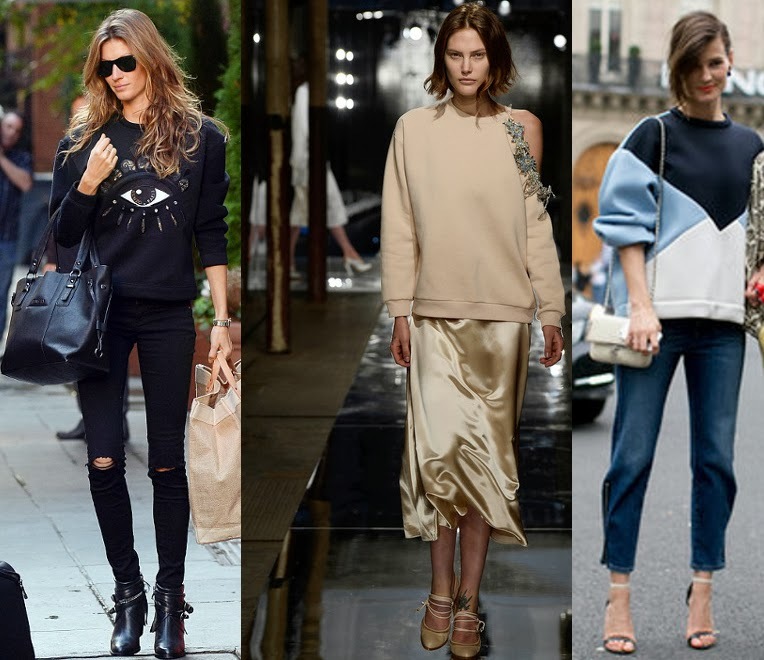 Animal graphic sweaters and sweat shirts are an easy way to update your casual look in a jiffy. They’re PETA approved and take solid separates or denim from meh to (to quote Seinfeld’s Kenny Bania)”Gold Jerry, gold!”. Who wouldn’t love the raw fierceness of Givenchy’s Rottweiler tee, especially as seen on the likes of Liv Tyler? Buyer beware: this is a trend that may be in for now but don’t blink because it will be over and done with by January. At 3.1 Phillip Lim, models tied one on, on the runway. Paris Vogue’s Emmanuelle Alt (front of the line) and one of her minions work white jeans in Paris’ chilly February air. 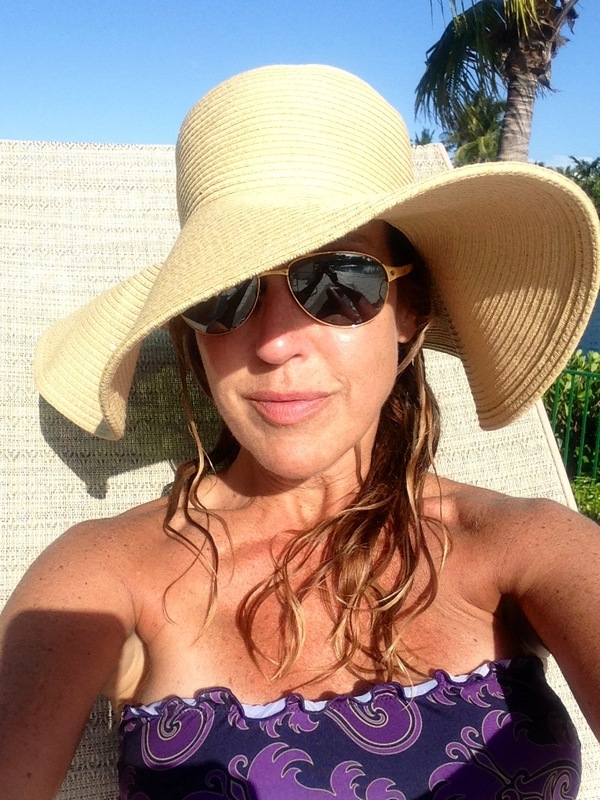 Summer Days: Relaxing in my Bikini Lovers bandeau, Cartier aviators and J.Crew hat. Well hello there. Apologies for being out of sight and out of touch for so long. Had to iron out some wrinkles with the blog and am happy to report all is pressed and crisp; ready to wear. Kinda ironic that my last post was that iconic shot of JLaw tripping up the stairs at the Oscars. Just as she picked herself up and moved on, so is Sparkles and Feathers and Newsprint. You will notice some changes as well…mostly the tone will be a little less serious and a little more conversational. After all, we’re old friends now, aren’t we? I am neither an art director nor in the business of public relations, but if I was…does it get any better than this? Art Director’s Dream: the iconic tumble courtesy of Dior clad Jennifer Lawrence. A Lanvin dress (from Spring 2012) with snake-effect embellishment. Sunday February 10th marks the start of the Chinese New Year…capturing the feel of Chinese New Year in your wardrobe is simple: stick to a colour palette of black, red, gold and orange. An all black ensemble with a shot of gold and a red lip and nail is a subtle approach. The more daring can incorporate Eastern influences like a mandarin collar, clean lines and capped sleeves or sleeveless uppers(calling to mind the style of a classic cheongsam). Anna Dello Russo in Piers Atkinson’s “Cherry” hat, Gaga’s “meat” dress and Katy Perry’s “cupcake” bra: surreal style. Elsa Schiaparelli’s shoe hat really pioneered the spirit of the trend. It’s not for everyone, especially not for those who prefer to fly under the radar. 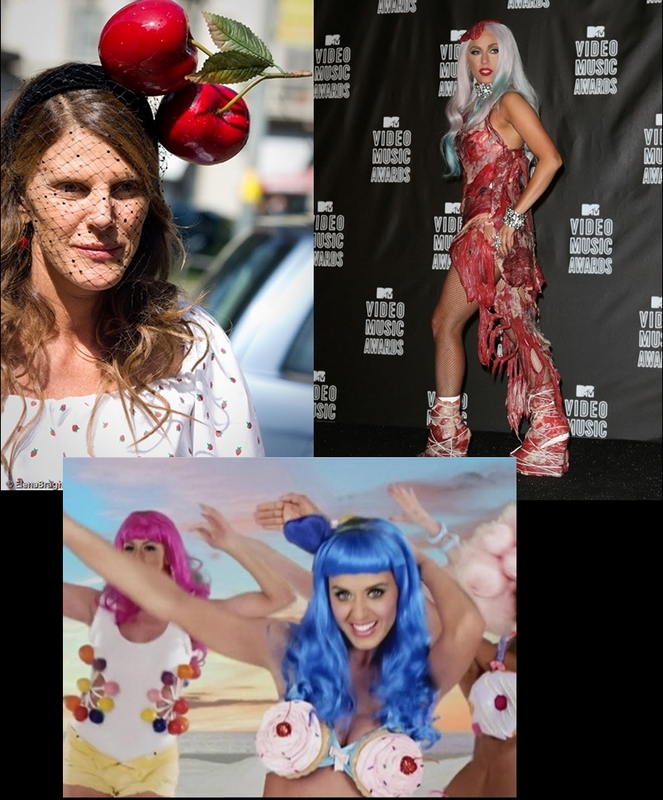 If it had to have a spokesmodel these days, Anna Dello Russo and her Piers Atkinson cherry fascinator would merit my vote, with Gaga (meat dress) or Katy Perry (cupcake bra) coming in a close second. Surrealism in fashion. It’s bold, cheeky and almost always rated over-the-top. This season both garments and accessories appeared with surreal connections. The brash and striking points of reference are perfectly suited to fall/winter fashion. Success usually comes with one touch and for those of us not comfortable in a feathered frock like Bjork’s 2001 Oscar’s “swan dress”, that nudge is best kept light and subtle.